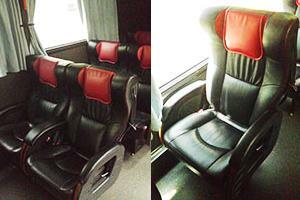 Luxury Coach Service is a Singapore registered tour bus service operator. 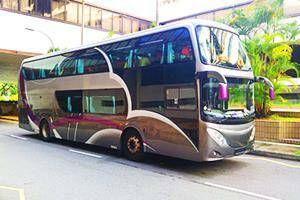 Luxury Coach Service provides daily tour bus from Singapore to Malacca and from Malacca to Singapore. The pick up and arrival location in Singapore is at Concorde Hotel, Orchard Road, which is right at the shopping heaven area in Singapore. For return trip, the pick up and arrival location in Malacca is at Swiss Garden Residence Hotel, Casa Del Rio Hotel and Equatorial Hotel. Luxury Coach Service emphasizes on the quality service and safety. Coaches deployed are all Singapore registered tour bus, with movie on board provided. Drivers are full-time professional and well-trained to ensure safety of the journey for all passengers. Tour guide is arranged to be seated to attend to passenger enquires and support passengers’ need during the journey. With better service provided, however, Luxury Coach Service ticket is reasonably priced. For customer who like to experience a valued service of travelling, Luxury Coach Service is the solution for your needs.